What could be a better centerpiece for your dessert table than a polyhedral cantaloupe? Try making this “Leonardo style” dodecahedron in which the edges are solid and the faces are open. 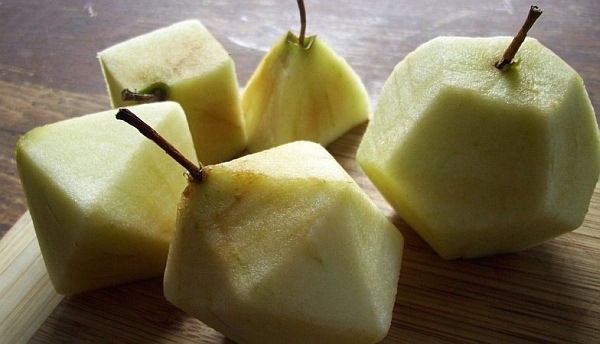 To warm up for it, you might first want to make all five Platonic solids from apples. Vi Hart gives step-by-step instructions for these and other mathematical fruit carving activities here. 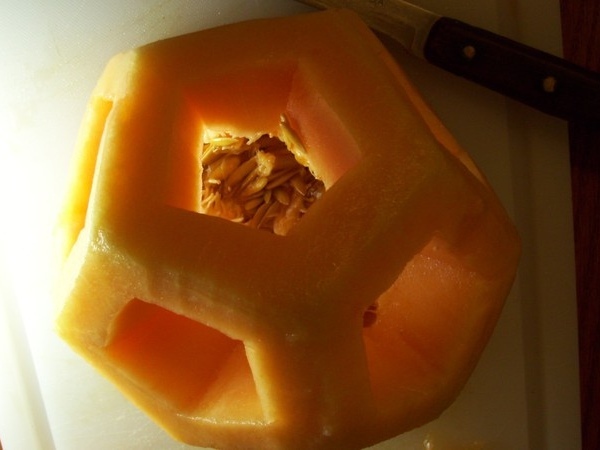 What other mathematical food constructions can you devise? This article first appeared on Make: Online, October 4, 2010.